The IPC is a cost competitive clarifier, which utilizes the time proven concept of Inclined Plate Clarification. An inclined plate clarifier relies solely on gravity to settle and concentrate suspended solids in the pretreated liquid flow. 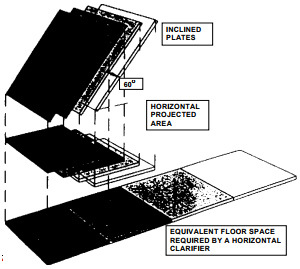 The most significant aspect of the design is the large settling area provided by 60 degrees inclined plates as illustrated below. The wastestream flows by gravity or is pumped to the IPC to remove the suspended solids. Flowing first to the Flash Mix/Flocculation chamber where polymer flocculants are added to promote floc growth, then up through the plates with the solids settling out in the large coned bottom. Solids which accumulate in the cone are automatically removed at concentrations of 0.3 to 1.0% by weight for further thickening and final dewatering. The “IPC” is constructed of rugged 1/4″ rolled mild steel. All wetted steel parts are sand blasted to white metal then coated with epoxy to resist corrosion. Exterior surfaces are, likewise, sandblasted, primed and painted with chemical resistant epoxy. The Inclined Plates are made of 304 stainless steel providing a smooth surface which retards solids build-up between the plates. 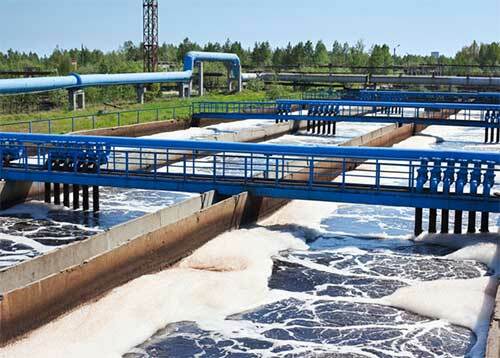 Influent plenum and effluent launderers guarantee even flow throughout the plate settling area. Included as standard to the IPC are rapid mix and flocculator mix tanks which utilize electric motor driven mixers with variable speed control on the flocculator tank mixer. The settling rate for a specific solid should be determined by standard laboratory tests. 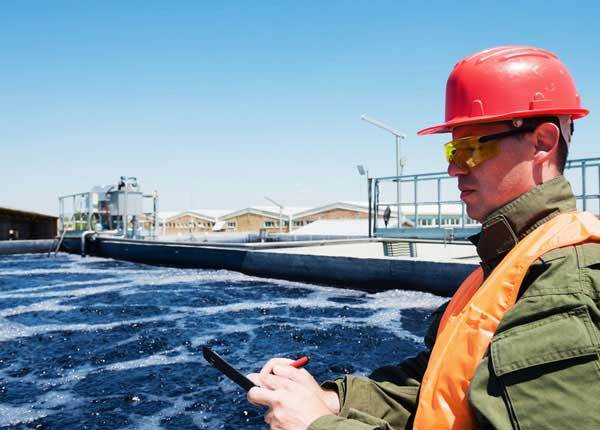 Light particles, such as metal hydroxides, usually require a design parameter of 0.25 gallons per minute per square foot of horizontal projected area. These low density solids require the inclined plates to be set at 60 degree angle to induce the particles to slide down the plate. Heavier particles will readily slide from plates set at a 45 degree angle. An inlet plenum must be provided to uniformly distribute the influent to the inclined plate compartments. Laminar flow must be established as the flow enters the plate area. The hydraulic momentum of the incoming liquid must be dissipated to prevent channeling. 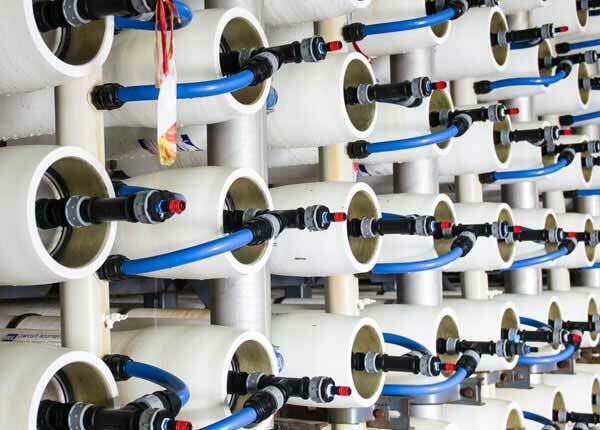 Our design does not use orifices, which may clog with heavy suspended solids. The outlet area must be designed to force uniform flow from all plate compartments and also over the entire width of the plates. ARIES clarifier utilizes orifice type weir boxes with orifices placed on each side of the boxes to force uniform flow. Solids sliding off the plates must be provided with a sufficiently large compartment to insure adequate capacity for the accumulated solids. Turbulence and channeling are avoided by continuously removing the solids, which will wash out if allowed to build up. 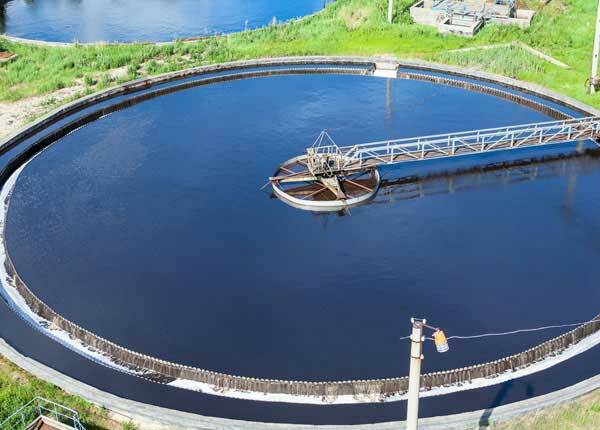 The Inclined Plate Clarifier with rake option provides for sludge thickening to optimize sludge dewaterability. This design has a compartment with a flat bottom and a top driven motorized rake, which moves the sludge to the center discharge point preventing the “rat hole” phenomenon. This design also allows for the maximum amount of sludge storage below the plates for a given height. The variable speed sludge rake travels at 2-4 feet per minute to assist with water/solids separation by gently pushing through the sludge providing pathways for separation, optimizing sludge thickening.